Yesterday, Bandai Namco announced that it will bundle its two recent Pac-Man releases together with Namco Museum Arcade Pac on September 28 for the Nintendo Switch. The package will include Namco Museum and Pac-Man Championship Edition 2 Plus in a physical bundle. 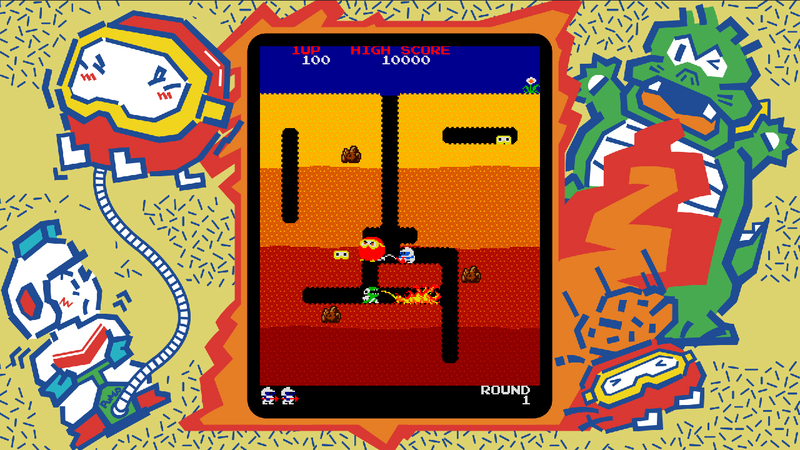 Players will enjoy a 2-in-1 package of nostalgic hits including a collection of some of the biggest arcade games that started the arcade craze of the 1980s with PAC-MAN™, GALAGA™, Dig Dug™, and Pole Position™; or battle friends in Score Attack mode or square up one-on-one against a giant boss in the flashy maze madness of PAC-MAN Championship Edition 2 PLUS™, all in the comfort of home or on the go on the Nintendo Switch. Sean has reviewed both games on the Switch, so you can read up on them before you buy. Stay tuned for more news here on Gaming Trend.